Hi everyone and welcome to Love Varnish, a blog all about nail polish. Started in 2010, it was just Deborah who blogged. She used to bite nails, then used acrylics and after that, the battle began to grow healthy natural nails. In 2011 Manon joined to blog as well, and she has a steady spot every Monday. She does gorgeous stampicures and other fun things, so don't be surprised if she leaves you drooling ;-). If you want to read about new releases, fun indie brands and quirky nail art, Love Varnish is the blog for you! Hi everyone! My name is Deborah and I am the founder of this blog. You usually come across my posts, because I'm the main contributor. I am 27 years old, I work at a company where we do Facility Management for lots of clients and I love polish, coffee, chocolate, cats, the bad jokes my boyfriend makes, clothes and TV shows that make me cry. If you wanna see what polishes I own (or just admire my lovely statistics page), check out the list here! Hi guys! My name is Manon, better known as Loqi, and I am Deborah's weekly guestblogger! Deborah kindly offered me a spot on her blog to vent my creativity, so every Monday you will find a post by me ^^. I am 28 years old, I have a masters degree in art-history, love to read, adore cats, hoard make-up and I play too many video-games, but most importantly: I love nailpolish! 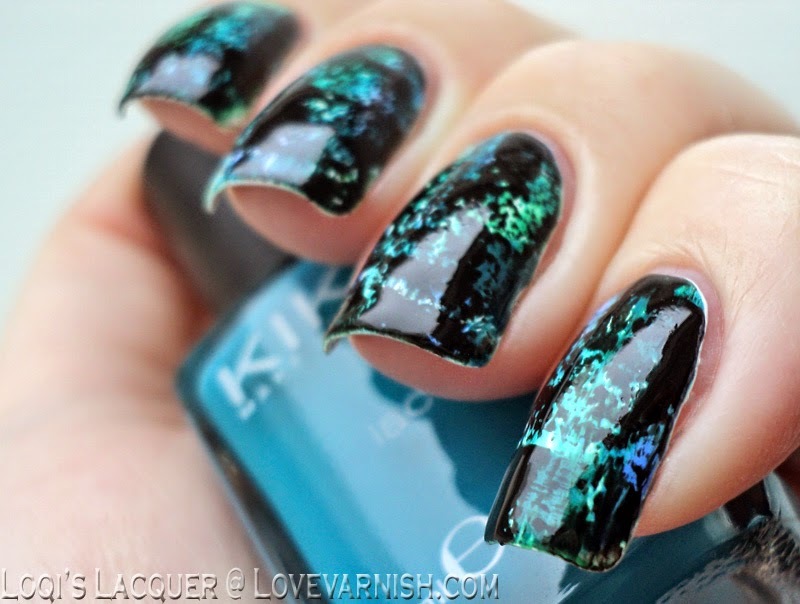 In my posts you can find all kinds of nailstuff, like swatches, comparisons and nailart. If you have any questions, suggestions, or if you would just like to send either one of us a message, please don't hesitate to contact us at lovevarnish@gmail.com!